Next party - Swing Dance Sydney launch party! Next party: Swinging at the PBC launch party for Swing Dance Sydney (14th January). A party with American guests, the Underscore Orkestra, to launch the new year for Swing Dance Sydney! Join us for a drink, a dance, and a rousing huzzah at the Petersham Bowling Club as we launch into a new project and a new year of hot jazz with all our friends! 8.00pm Live music with the Underscore Orkestra from Portland, Oregon. The tiny PBC stage will be filled with musical instruments: accordion, violin, guitar, drums, trombone... and the people who play them. 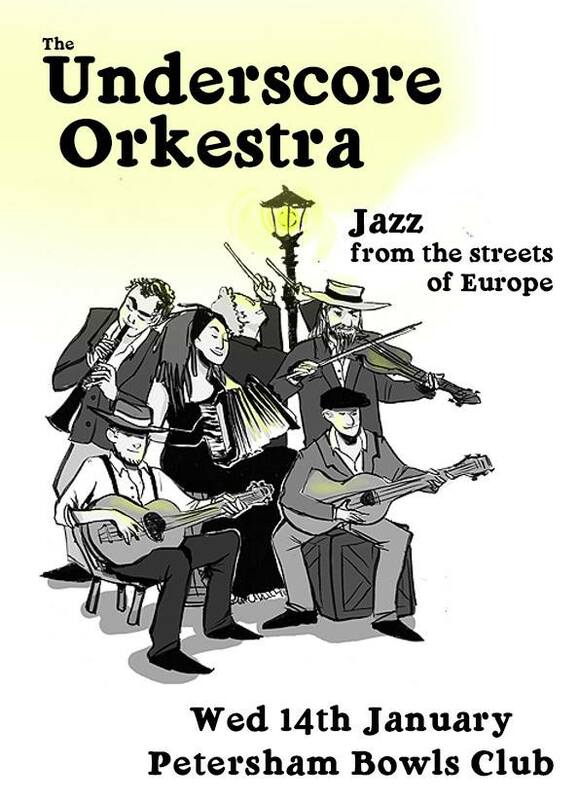 The Underscore Orkestra play a mix of Balkan, Klezmer, Gypsy Jazz and Swing, but they'll be playing a solid, swinging set for dancers. Think 'street jazz', but with a rowdy, kohled-eyes and stamping-feet edge. We had a fantastic time with them in January 2014, and we're expecting another excellent night of live music.